To maintain and sustain academic excellence. 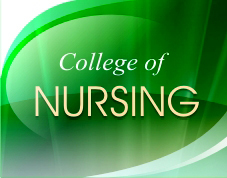 To maintain excellence in the academe and clinical courses offered by the College. To provide ample opportunities & consistent guidance for the development of our students’ critical thinking, investigative skills, self-direction, self-discipline as well as moral & ethical values. To constantly cope with the pace of the tremendous advances, changes and social issues that affects global & individual health & health care. To harness Filipino cultural values in the development of personhood. That education is an evolutionary process directed towards developing the student to his highest capacity as beginning nurse practitioner. The students utilize the nursing process in the promotion and maintenance of health, prevention of illness including the curative and rehabilitative aspects of care, in any setting in collaboration with health and health related disciplines/agencies. During this development process students are given opportunities to enhance their critical thinking, investigative skills, self-direction, self-discipline and moral ethical values that will promote a caring behavior. Academic excellence: the college seeks to provide excellent education through synthesis of a sound knowledge based on the humanities, social and behavioral sciences and health related sciences. Competent Care: to develop in student genuine concern and interest in meeting the health needs of the clients. Investigative skills: to instill among our students beginning skills in exploratory studies and develop analytical scientific inquiry in all health settings. It introduces student to the basic research process of scientific inquiry with increasing gradation throughout the curriculum. Intersectoral coordination: to enhance student’s skills in active collaboration with clientele, practicing nurses, community agencies and other disciplines in the health sector. Leadership: to provide opportunities for students to apply leadership and managerial skills and utilize their team player roles in an escalating course of action. Core values: to inculcate among the faculty, staff and students integrity, prudence, commitment, discipline and respect for life.